US citizens do not need a visa for tourist or business travel for a stay up to 60 days to this country. A valid US Passport is required. Temporary residence permit available in Mbabane for longer stay. Visitors must report to immigration authorities or police station within 48 hours unless lodging in a hotel. Yellow fever and cholera immunizations are required if you are arriving from an infected area. Any US citizen who wishes to travel to Swaziland for any purpose other than tourism or business negotiations (e.g. work, study, adoption, immigration, or stays longer than stipulated in the entry requirements) should contact the embassy or nearest consulate directly. A valid, signed US passport. The passport must have at least 6 months remaining after the completion of your stay in Swaziland, and contain at least one blank visa page. 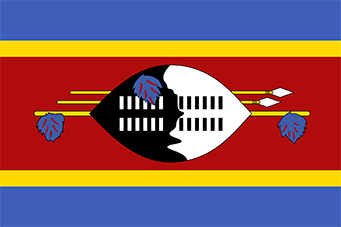 The Swaziland visa is usually issued for a single entry within three months of the date of issue, for period of stay up to 60 days.